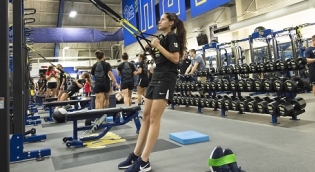 The Sports Science program is designed for students seeking graduate training to advance their knowledge and skills related to understanding and improving sports performance. Primary areas of focus are education and training in sports science, nutrition, sports medicine, and research. The curriculum integrates coursework, research, and practical application experiences pertaining to multiple aspects of athletic and human performance. 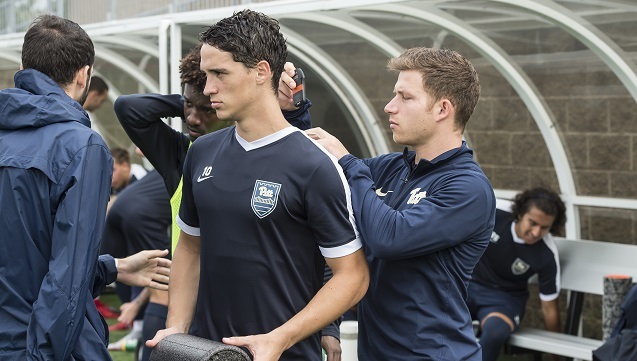 All students will complete a one year sports science practical experience with a designated sports team or organization and will also have access to the Sports Medicine and Nutrition research facilities and faculty. Experience a year-long immersive internship with elite athletes. Participate in meaningful research at the Neuromuscular Research Laboratory. Learn in a city that values its sports teams. Enter a growing field in just one year! Full-time students can complete the Sports Science program in only three terms, or one year. View a program summary. 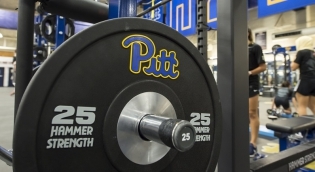 Start the Sports Science program in fall 2019! Learn how to apply now. Review the Sports Science curriculum which includes evidence-based instruction and practical experiences, and incorporates the use of cutting edge sports science and wearable technologies. 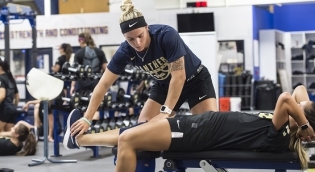 Learn how the clinical component of the Sports Science curriculum offers students a rich learning experience and prepares highly competitive graduates to enter the job market.